Within our chapters, we were keeping a treasure trove of life changing witness talks under a bushel basket. Over the years, these personal testimonies have been tremendous sources of inspiration and motivation for our Magnificat prayer meal attendees. In 2007, we felt a prompting from the Holy Spirit to place Magnificat’s light upon a lamp-stand! The Magnificat Central Service Team in conjunction with Magnificat Chapters and guest speakers embarked on a journey to share these talks with a broader audience of women around the world. 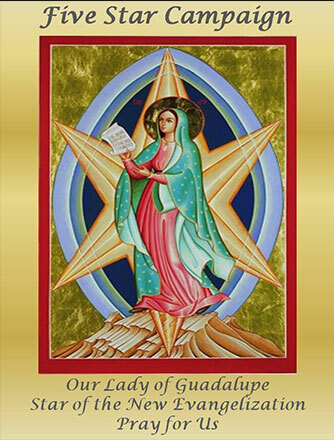 This endeavor brought us into collaboration with St Joseph Radio and Eternal Word Television Network (EWTN) Global Catholic Radio in the production and airing of these talks with the series entitled “Magnificat Proclaims”. 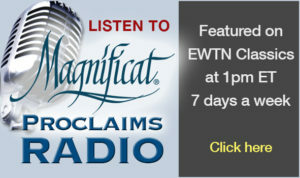 This “Magnificat Proclaims” series is now being broadcast over EWTN Global Catholic Radio throughout the United States (US) on Sirius Satellite Radio and on EWTN Short Wave Radio (WEWN) to all English speaking countries. Hundreds of Catholic Radio Affiliates throughout the US are enthusiastically broadcasting this show as the “Top of the Week” program airing at 10AM and 10PM Eastern Standard Time. The program is being run on a rotation basis until a permanent time-slot is assigned. 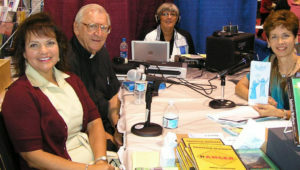 One can also access the programming through EWTN’s website on the Internet (www.ewtn.com). Once on the EWTN website, one simply clicks on Radio and then Listen Live. Theme music for our programs is generously provided by singer, songwriter and Magnificat SE Regional Team Member, Elyse O’Kane. For more information about Elyse and her music, please visit her website: www.elyseokane.com.